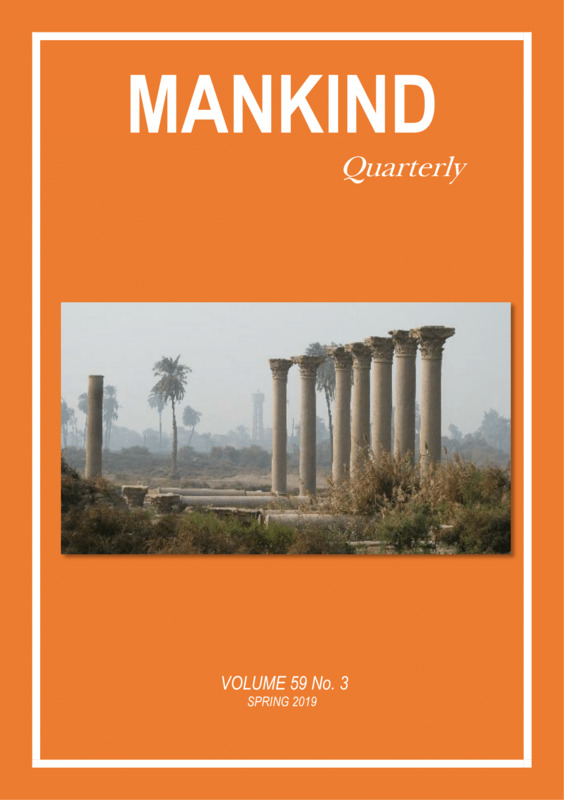 As a peer-reviewed academic journal of anthropology, Mankind Quarterly publishes articles on all aspects of the science of man, ranging from cultural and physical anthropology, and psychology and behavioral genetics, to demography, mythology and the history of religion. However, the editors are especially interested in articles relating to cultural and biological evolution, and to the interaction between biology and culture. Such topics include (1) the historical origins of present-day cultural and biological diversity using approaches from history, archaeology, linguistics, mythology, and population genetics; (2) the study of cultural and biological trends in contemporary societies including cross-cultural studies of personality, intelligence and culturally transmitted beliefs and values, as well as the study of demographic trends and trends in physical characters and gene frequencies over time; and (3) the implications of current trends for future human evolution. Included in these areas of special interest are articles dealing with the evolution of personality, its expression in varying cultural, ecological and economic conditions, and its implications for future cultural and biological evolution. Interdisciplinary approaches that integrate findings from historically separate disciplines and subdisciplines are especially encouraged. MQ publishes research reports, theoretical articles, data-driven reviews, book reviews, and short communications on new discoveries or critical comments on published papers, either in MQ or elsewhere. Because MQ is read by individuals from diverse backgrounds, the authors of highly specialized or technical articles are asked to present the background and significance of their work clearly and concisely. Book reviews should also deal with publications which will be of interest to a non-specialist audience. Theoretical articles may be speculative or controversial or both, but must be based on solid data. Submissions are evaluated only on the basis of scientific soundness, relevance, and interest. Manuscripts should be composed in Microsoft Word and submitted electronically to submissions@mankindquarterly.org. The editors may request a printed copy of any article which is accepted for review by the journal’s referees. The review process usually takes 1-3 months. Every effort is made to publish articles within six months after final acceptance. All manuscripts should include key words, a brief abstract, and an email or postal address for correspondence. Please do not manually hyphenate words at the ends of lines – not even when preparing tables. Tables must be constructed using the MS Word table-building function. Kindly do not create columns and indents by pressing the space bar a multiple quantity of times. Footnotes must be created using the MS Word facility for building footnotes so that the footnote number in the text is digitally linked to the footnote itself. Footnote numbers must be “superscript”, not “raised”. MQ does not use endnotes. References at the end of the article must be alphabetical by author, or, where necessary, name of publication. Meisenberg, G. & Lynn, R. (2011). Intelligence: a measure of human capital in nations. Journal of Social, Political & Economic Studies 36: 421-454. Lynn, R. & Vanhanen, T. (2012). Intelligence: A Unifying Construct for the Social Sciences. London: Ulster Institute for Social Research. Rushton, J.-P. (2003). Race differences in g and the Jensen effect. In: H. Nyborg (ed): The Scientific Study of General Intelligence: A Tribute to Arthur R. Jensen. Amsterdam: Pergamon.